Gerry Hambling, who has died aged 86, was one of the finest editors that the British film industry has produced. He was widely admired, particularly by his peers, for films such as Midnight Express (1978), Mississippi Burning (1988), In the Name of the Father (1993) and Evita (1996). He won many awards from the editors’ guilds in the US and UK, which made up for the fact that, although he was nominated six times, an Oscar always eluded him. He did, however, win the Bafta three times for film editing. My own collaboration with Gerry went back 40 years, as he cut 14 feature films for me, as well as three short films and scores of commercials. 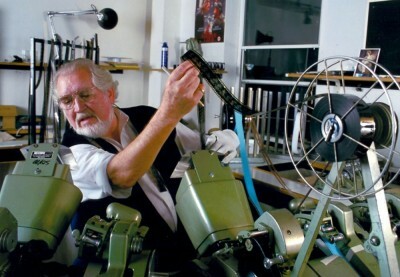 As with many film technicians of his generation, Gerry’s choice of profession was serendipitous: born and raised in Croydon, Surrey, he left school at 16 and went to work at the local factory, except, in his case, the factory was Pinewood Studios, where he worked as an editor’s apprentice. His contemporary at the studio was another doyen of British film editing, Anne Coates, who used to give him a lift to the studios in her small car. Gerry worked as a sound editor on Joseph Losey’s The Servant (1963) and King & Country (1964) and cut his teeth as a film editor on British comedies such as The Bulldog Breed (1960), starring Norman Wisdom. But as the British film industry went into slow motion and then prolonged pause at the end of the 60s, Hambling, like many great technicians, found himself out of work. The scraps handed out by the production managers and directors in the Pinewood bar didn’t come his way. Gerry, a proud man and not overly sociable, was not a recipient of this largesse and so, prompted by an old editor friend, Roger Cherrill, joined Cherrill’s post-production company in central London, in the nascent world of TV commercials. Gerry later told me that after agreeing to join Cherrill’s, he walked into Soho Square and sitting on a bench, head in hands, thought that his career was surely over. But Gerry’s misgivings were my good fortune as I, and my producer, Alan Marshall, had just started our TV commercials company and walked into the cutting room of this polite, but curmudgeonly and, if truth be told, rather resentful editor, who thought that he was rather slumming it in Soho’s advertising back streets. Watching him work was a revelation to me, and a process which I never failed to be impressed by, in the further 30 years we spent working together. With white glove on one hand, grease pencil in the other, he hunched over the old Moviola editing machine, his strong hands a blur as he stopped its motion with his left hand, feeding in the film with the other and then suddenly snatching it into the air, snapping closed the film-joiner and smashing down the mini-guillotine with his knuckles. The sheer physical prowess belied the extraordinary delicate nature of his cuts, which were always accurate to a single sprocket: the merest sliver of celluloid. No one has yet worked out a digital system to replicate, or better, the finesse of Gerry’s editing. We collaborated on films including Bugsy Malone (1976), Midnight Express, Fame (1980), Pink Floyd The Wall (1982), Birdy (1984), Angel Heart (1987) and The Commitments (1991). I never sat on his shoulder, guiding the cut, until he had made his contribution – and then we would discuss it. I never failed to marvel at his skills. Film schools analyse his kinetic work in Pink Floyd The Wall or Mississippi Burning, but it was also in the more subtle, delicate, dramatic scenes that he excelled. The ability to understand the essence of a script and the subtlety of an actor’s performance; the intuitive sense of how long to hang on to a shot; the magical, decisive moment on when to cut; the instinctive understanding of pace, rhythm and nuance, that makes a scene sing: makes it soar. That was his genius. Gerry also did wonderful work for other directors. He cut In The Name of The Father (1993) and The Boxer (1997) for Jim Sheridan, Another Country (1984) for Marek Kanievska, White Squall (1996) for Ridley Scott, City of Joy (1992) for Roland Joffé, and Absolute Beginners (1996) for Julien Temple, which brought him a further cluster of “best editor” nominations. 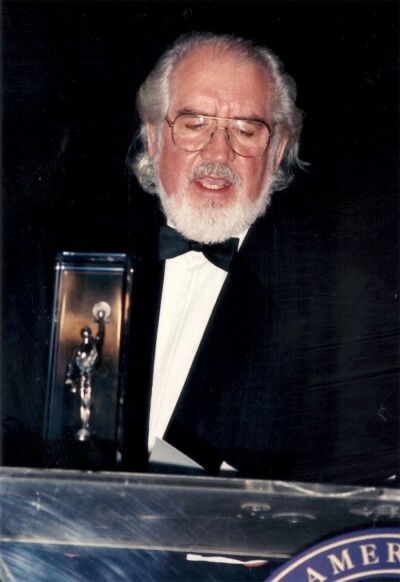 In 1998 he received an ACE (American Cinema Editors) lifetime achievement award. 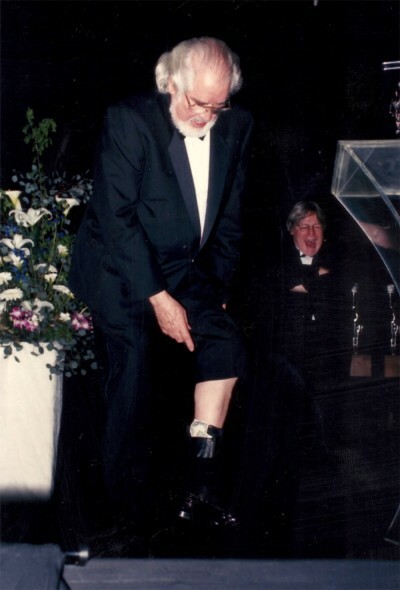 Gerry was famously mean with his money and at the awards ceremony in Los Angeles, when I teased him about his parsimony, he promptly showed the audience his legendary money belt – where he stashed his per diems – curiously attached to his ankle. 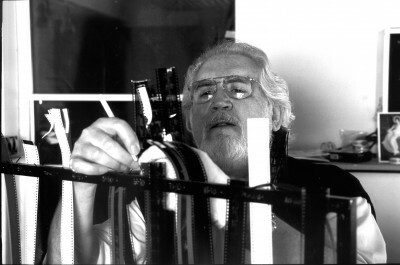 Even as the digital age dawned, Gerry resolutely stuck with his Moviola and film. His common practice was to have not one, but two upright Moviolas in front of him, which he grabbed, yanked and tamed like two bucking broncos. Gerry and Steven Spielberg’s editor, Michael Kahn, were the last two editors to cut major feature films physically on celluloid film. A French journalist once asked me if I used the modern editing techniques. I answered that I had a secret device that I found infallible: an old, old man with a grey beard. At one end I fed in film, per diems and single-malt whisky, and at the other end out came an immaculately cut film. Gerry said he was too old to change to computerised editing and so decided to retire in 2003, although all of us were urging him to carry on. He is survived by his wife, Margaret, daughter, Belinda, and son, Robert.